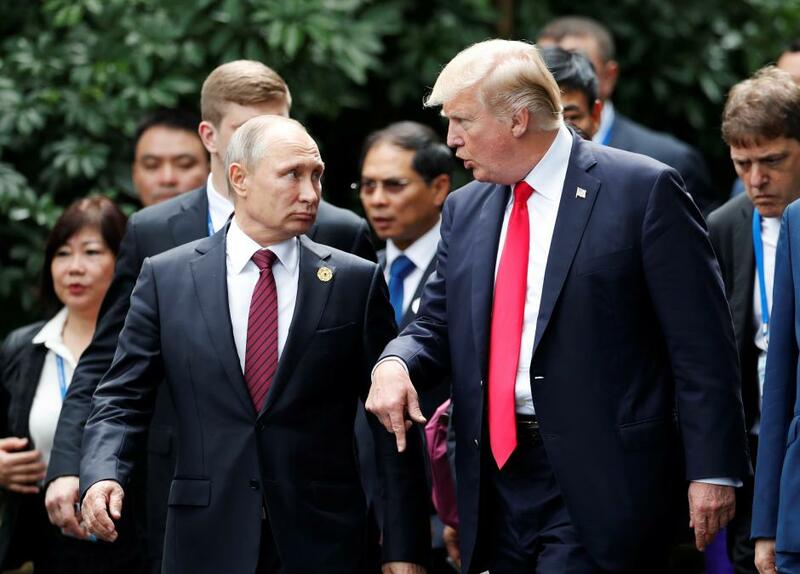 DANANG, Vietnam (warsoor) – Russian President Vladimir Putin and U.S. President Donald Trump agreed a joint statement on Syria on Saturday that said they saw no military solution to the conflict and a political one was needed, the Kremlin said. The White House did not immediately respond to questions about the Kremlin announcement or the conversation the Kremlin said took place on the sidelines of the Asia-Pacific Economic Cooperation (APEC) summit in the Vietnamese resort of Danang. The Kremlin said the statement on Syria was coordinated by Russian Foreign Minister Sergei Lavrov and U.S. Secretary of State Rex Tillerson especially for the meeting in Danang. With Islamic State having suffered losses in Syria and beyond, greater attention is turning to the broader conflict between President Bashar al-Assad’s forces and rebel factions. Putin and Trump had agreed to continue joint efforts to fight Islamic State, the Kremlin statement said. They confirmed their commitment to Syria’s sovereignty, independence and territorial integrity and called on all parties to the Syrian conflict to take an active part in the Geneva political process, it said. Moscow and Washington agree there is no military solution to the Syrian conflict, according to the text of the joint statement published on the Kremlin’s website. Television pictures from Danang showed Putin and Trump chatting – apparently amicably – as they walked to the position where the traditional APEC summit photo was being taken at a viewpoint looking over the South China Sea. Earlier pictures from the meeting show Trump walking up to Putin as he sits at the summit table and patting him on the back. The two lean in to speak to each other and clasp each other briefly as they exchange a few words. Although the White House had said no official meeting was planned, it also said it was possible they would bump into each other. Trump’s entourage made no comment before he left Danang for Vietnam’s capital Hanoi, the next step on his 12-day tour of Asia. Trump has shown little appetite for holding talks with Putin unless there is some sense that progress could be made on festering issues such as Syria, Ukraine and North Korea. Trump publicly sitting down with Putin also revives the issue of Russian meddling in last year’s U.S. presidential election, which remains under investigation. Trump’s former campaign manager, Paul Manafort, has been indicted in the probe along with his former deputy, Rick Gates.